Long sleeves, Collar, 100% Cotton. Among the top global clothing brands today, with a presence in almost 100 countries, Tommy Hilfiger is credited with spreading American street wear culture across the world. The brand was established in 1985 and since then has been offering a range of clothing aimed at men, women, and children. Its internationally recognised range of products includes the Tailored and Denim lineups. Tommy Hilfiger is also associated with accessories such as watches, dark glasses and perfumes. Even as the brand has gained recognition worldwide, it has remained true its philosophy of delivering topnotch products that reflects its roots in casual wear popular in America particularly among the young and those who love north American pop culture. 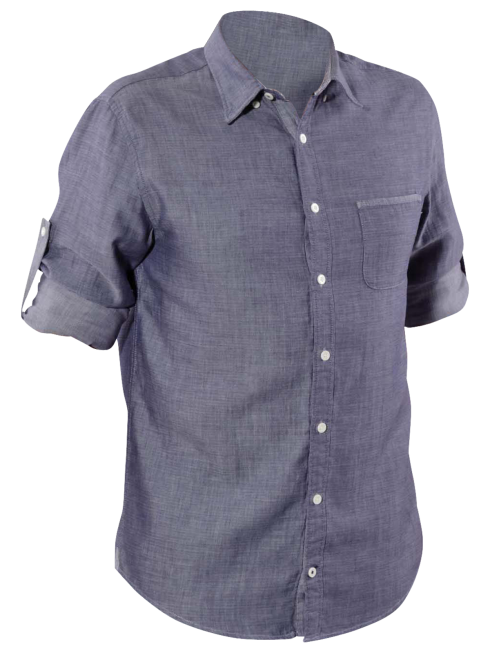 shirts –Shirts for all occasions, from formal to casual are offered as part of the brand Tommy Hilfiger. You can choose a classic white shirt, often known as the oxford, for casual or formal wear and understated elegance. You can look for more colour in your wardrobe courtesy shirts in navy, blue and grey. Since pink is no longer taboo, you can choose rose hued shirts, or shirts that spell charm and elegance in colours such as indigo, the lightest of green. You can also choose to experiment with patterns, with striped shirts. Again, you have options galore, since you can choose irregular or regular stripes. Tommy Hilfiger range of shirts also includes patterns and materials that offer diverse textural effects. You can also buy shirts with checked patterns, which are always a safe way to add verve to your clothing without going over the top. The bonus – the comfort and breathability of cent percent cotton. Polo shirts and sweaters –Be comfortable this season in a range of clothing meant to ward off the chill in style. Polo shirts reflect the desire to relax in comfort, without sacrificing sophistication. These signature products, trendy in their collars and short sleeves guarantee comfort and cool factor. Choose monotone products for a casual evening out or go with trendy colourful attire with just the right touch of bright hues contrasting with steady colours like white. Sweaters in their cotton knit textures are comfortable, warm. In colours such as blue, red, or navy they add brightness to attires, and for those looking to keep things sedate, grey, black, or indigo are the top choices. Also offered are a range of Tommy Hilfiger t shirts, spelling casual comfort in colours such as blue, green, black, and more. The blazers and jackets are also popular for their casual elegance. Customers would also want to browse the jeans on the Tommy Hilfiger catalogue, to get acquainted with one of the top selling products by the brand. Tommy Hilfiger shirts convince with their unmistakable sporty elegance and absolute quality workmanship. From the choice of materials to the type of workmanship during manufacturing and the design, these men's shirts of the global premium brand are great for both work and relaxed leisure. With Tommy Hilfiger shirts, men are dressed stylish and modern regardless of the occasion - whether at the office, for a cozy brunch with friends, or during family outings. The design credo of the successful label is classic, American, cool, and is found in every shirt creation in inimitable way. With classic straight cuts, these men's shirts are always fashionable and rich in details without losing their classic note. The product range offered by Tommy Hilfiger shirts features a wide range of cool styles. Here, every guy will find a shirt that makes him look good in any situation.